I have something to admit. I am one of those terrible people who love Valentine’s Day. I am a total mushball, someone who squeals over all things pink and heart-shaped, someone who goes into CVS purposely to browse the copious amount of consumerist love goods. Those over-priced three course dinners for two? Roses? Teddy bears with “I love you” written on their little red shirts? I’m a total sucker. Don’t hate me. Yes, I know all the arguments about why Valentine’s Day is a ridiculous holiday and the person who you’re with should show their love for you all the time, blah blah blah, and if you’re single, how Valentine’s Day is isolating and a stab to the gut, blah blah blah. I know all this. But I still am entranced by our yearly celebration of all things romantic. So, in honor of this gracious holiday, I have cooked up a series of V-Day themed recipes. Brace yourselves: there will lots of fuschia and chocolate. That’s all I’m saying. 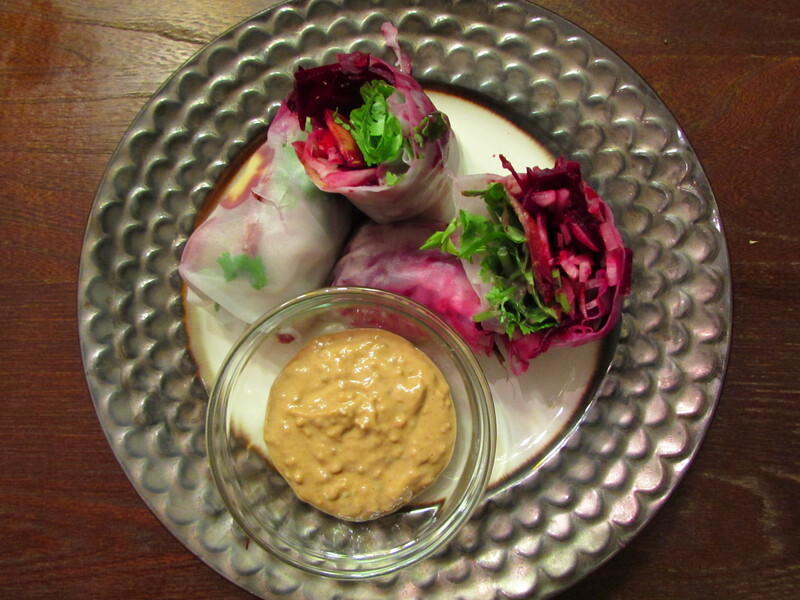 For my first recipe, I thought I would showcase some of winter’s red and pink veggies by wrapping them in the opaque film of rice paper, and dunking them in a tangy peanut-sesame sauce. These Summer Lovin’ Rolls are perfect to make with your love (or your friends), as you can each choose the veggies, beans, and herbs you’d like in your rolls, to have a play-with-your-food interactive dinner. 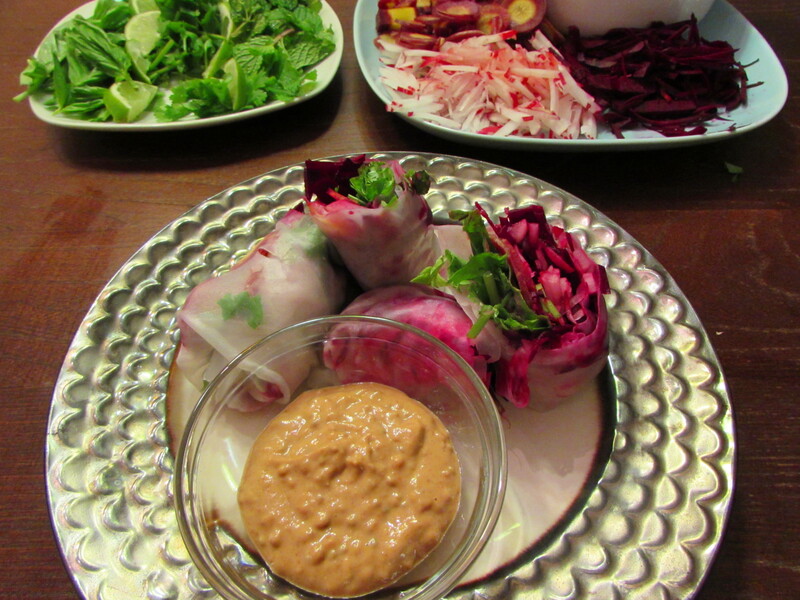 Traditional summer rolls are of Vietnamese descent, and filled with julienned carrots, cucumbers, rice noodles, and shrimp, along with the holy trinity of summer roll herbs: cilantro, basil, and mint. 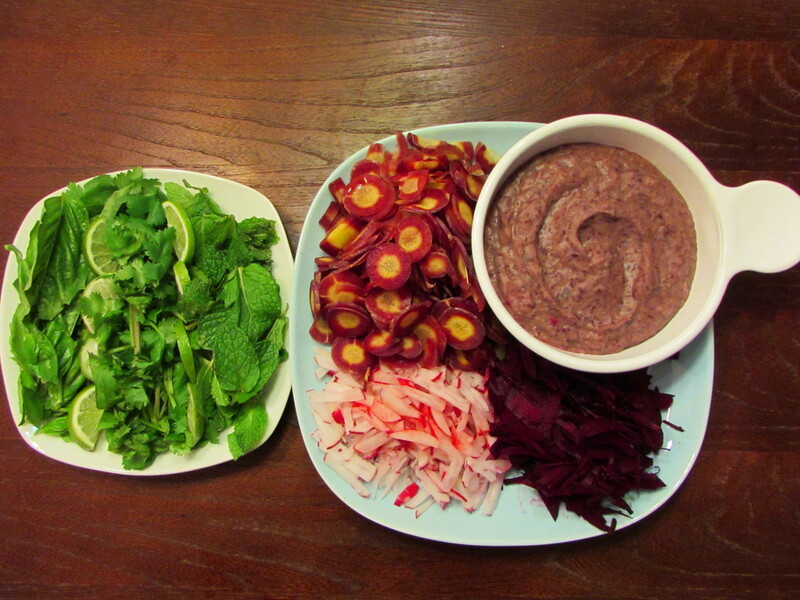 My Summer Lovin’ Rolls are a veggie-filled spin-off, packed with thin discs of purple carrot, julienned radish and beet, a garlicky red bean spread, and those same 3 essential herbs. They are substantial enough for a main course, and would also be charming as an appetizer. As a side note: aren’t those purple carrots insane?! They are like little tie-die purple suns. 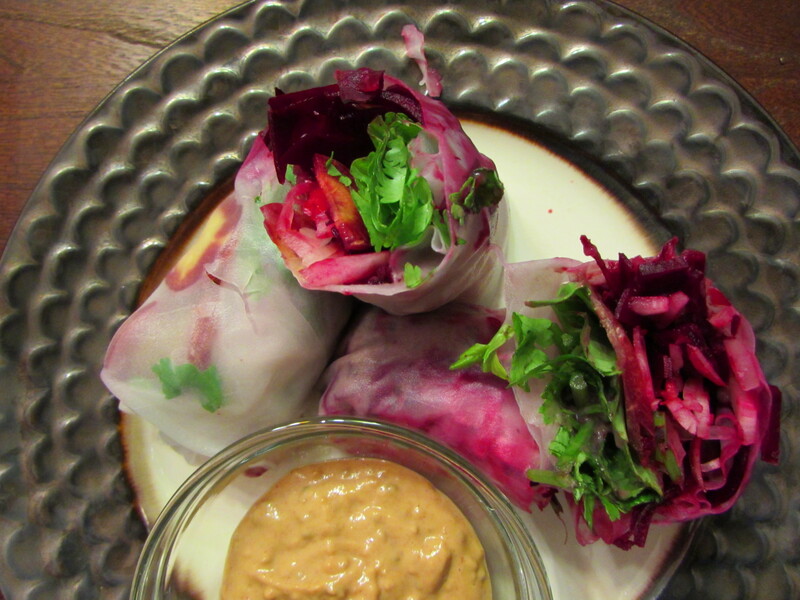 To make summer rolls, you will need these handy rice paper wraps. You can find them in the Asian section of your grocery store. They’re really cheap and will last for ages in your pantry. I think I’ve had mine for a year and they’re still going strong. You “cook” them by filling a rimmed dish with warm water and dunking them in the water for 20 seconds or so, until them become translucent and pliable. Then they’re ready to roll! I usually keep many plates handy at this phase: One for submerging the wraps, one for laying them out to fill and roll, and a third to line up the finished rolls. I hope you and your love enjoy these punchy flavors as much as I did! I can also see these being awesome for a girl’s night in, a baby shower (for a girl baby), or just for a movie night by your awesome self. (No one will know if you eat all the summer rolls- mwahahaa). First, make the bean spread. Heat a medium-sized skillet over medium heat. Spray with cooking oil, or use a few drops of oil. Add the red onion and sautee for 3 minutes, or until translucent. Add the garlic and a pinch of salt and sautee for a minute more. Put onion mixture in a food processor. Add the beans and puree until smooth. Next, make the dipping sauce. Combine all ingredients in a bowl and stir until combined. Add water to your desired consistency. 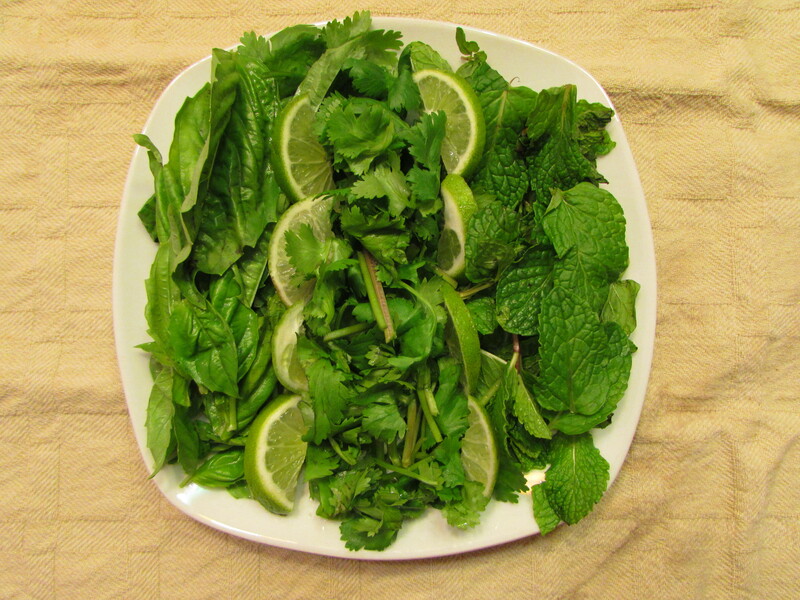 Set your veggies and herbs on a plate. Heat 1 cup of water in the microwave for a minute, or until hot, but not boiling. 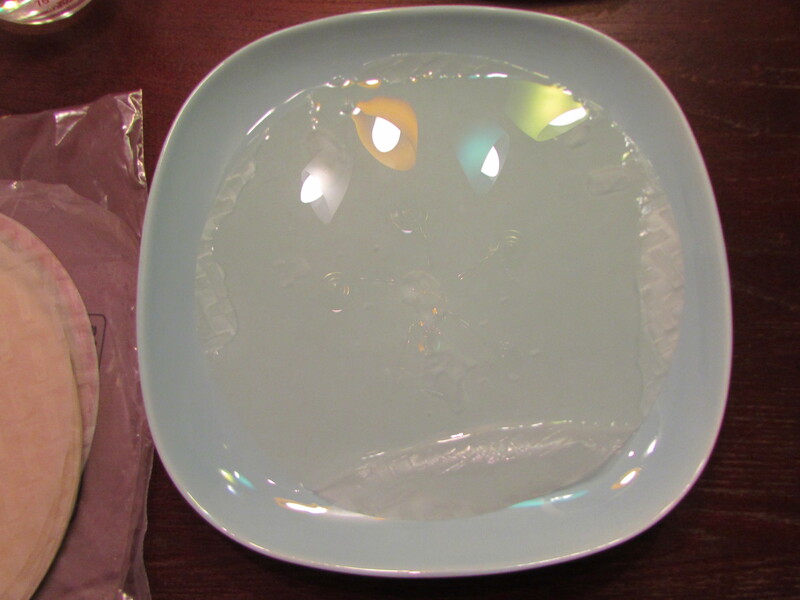 Fill a rimmed dish with some (1/4 cup maybe) of the hot water and add one rice paper wrap. Press it down until it is submerged. Wait 20 seconds or until it is pliable and soft. Then, take it out and place it on another plate, being careful not to tear it. Spread a few scoops of the bean puree on first, then layer on the veggies and herbs. Roll it up! Place on a separate plate. 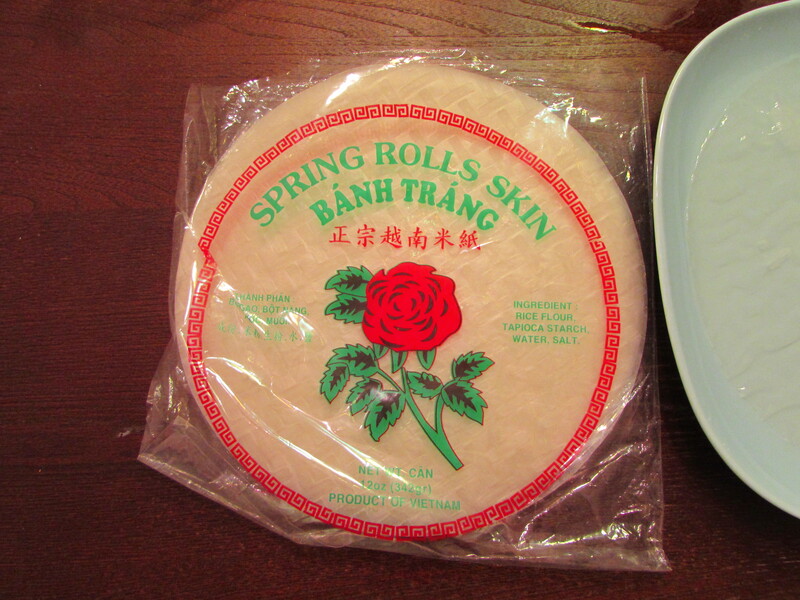 Repeat to make remaining spring rolls. Serve with plentiful dipping sauce and extra sriracha. Notes: 1) These are best served the day of. If you do want to eat them the next day, wrap each individually in a damp papertowel. The rice paper dries out easily and needs this moisture to keep soft. 2) For a main course, 4-5 rolls is a good serving size estimate. For an appetizer, I would estimate 1-2 per person.